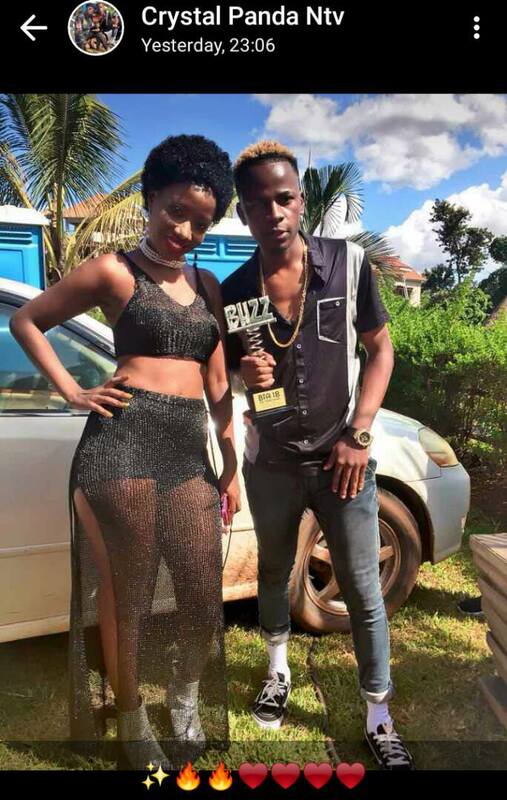 After scooping another award as the hottest Teeniez TV show presenter, thoughts of making it in life could have crossed Crysto Panda's mind and with no hesitation, he has expressed his feelings for singer Lydia Jazmine. Now news reaching our desk indicates that the unexplained change in Lydia Jazmine's looks could be giving NTV's Crysto Panda sleepless nights. 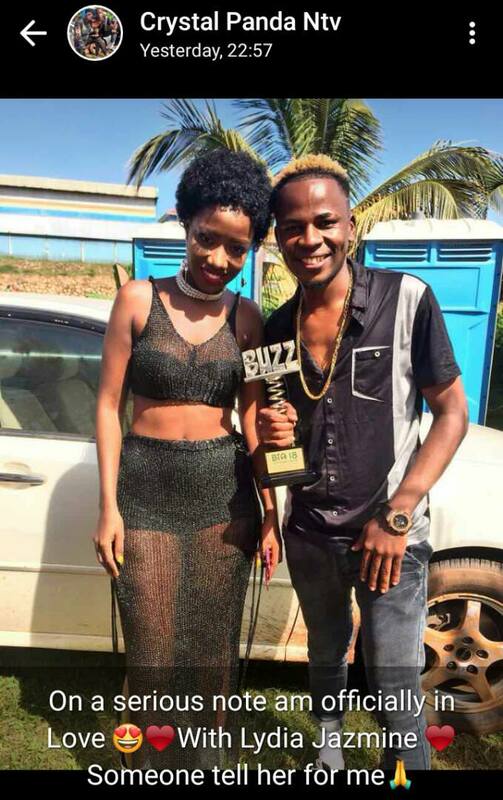 While at the just concluded Buzz Teeniez Awards, Crysto was spotted by our snoops backstage talking and whispering sweet things to Lydia Jazmine just like a teacher explaining mathematical theories to a daft student with intentions written all over his face. It seems like he was turned down and he resorted to social media to deliver his message and posted, "On a serious note, am officially in love with Lydia Jazmine, someone tell her for me".